My favorite part of gift-giving is when you have found the perfect gift for someone, and you are so excited to see them open it. The joyous look on their face is everything. However, year after year, it’s hard to always find the perfect gifts. Sometimes, it’s tough to even think of ideas. 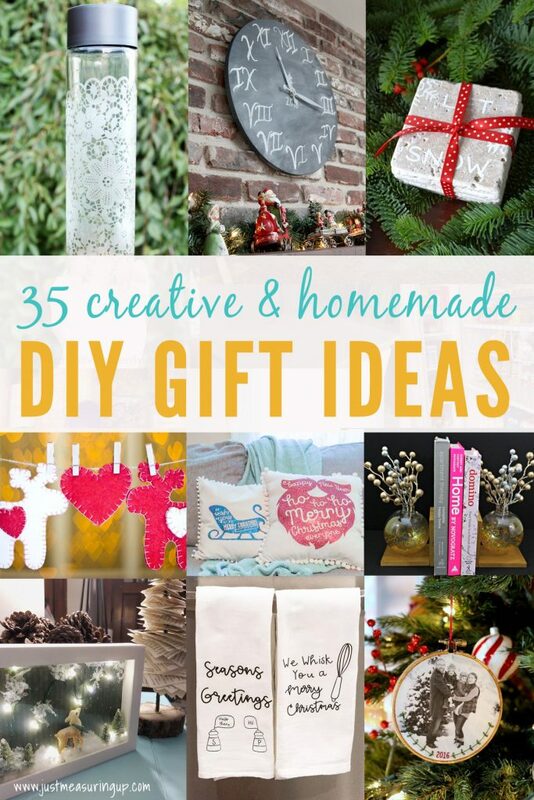 So, I’ve compiled 35 creative DIY gifts that you can make. Hopefully this helps you find the perfect gift for everyone on your list. DIY bookends are such a great homemade gift idea! You can use anything you’d like on the bookends, so you can customize it for the person you are giving the gift to. This one is Magnolia-inspired – so pretty! 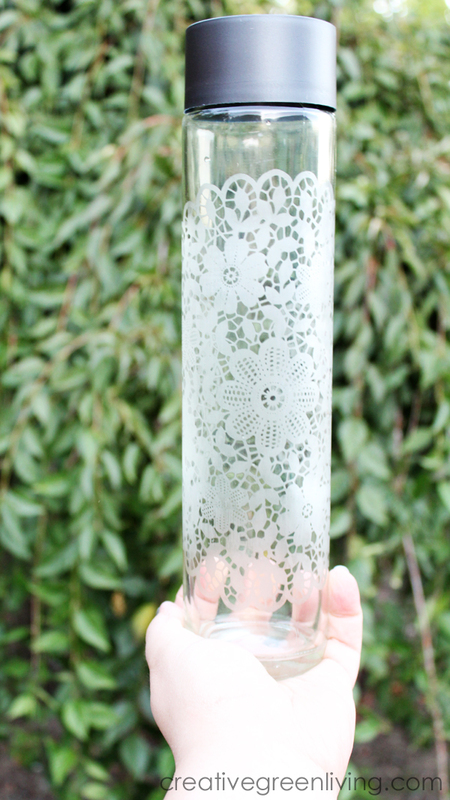 This etched water bottle cost less than $7 (and you can reuse some of the materials), and it’s absolutely gorgeous. Water bottles are a great gift idea because everyone needs them – plus, you can help contribute to a greener society. An embroidered family photo ornament is such a great idea! Especially for grandparents who love any and all photos of their grandkids. I also love the idea of making one every year with family photos or even making a “collection” of them with old photos. 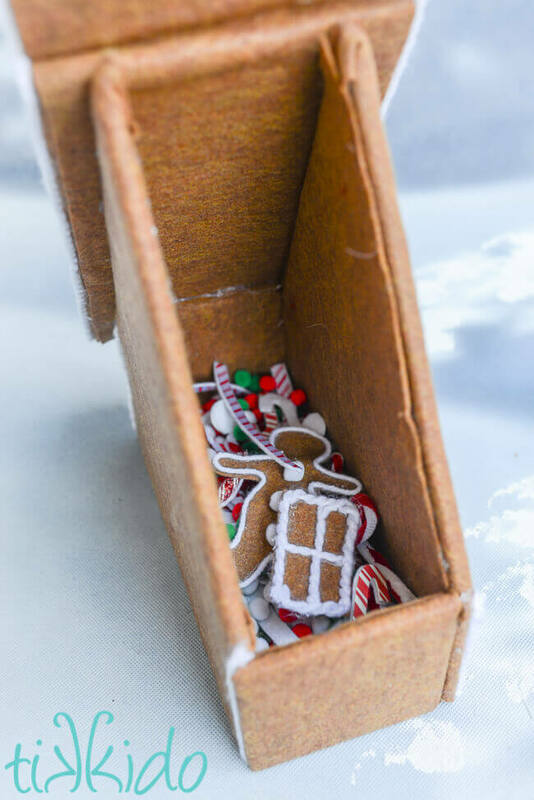 This DIY Christmas box is a great way to use holiday miniatures in a fun way! You can create a pretty snow scene – with lights or pictures or anything you’d like. These shadow boxes have been on sale a lot at the craft stores too! 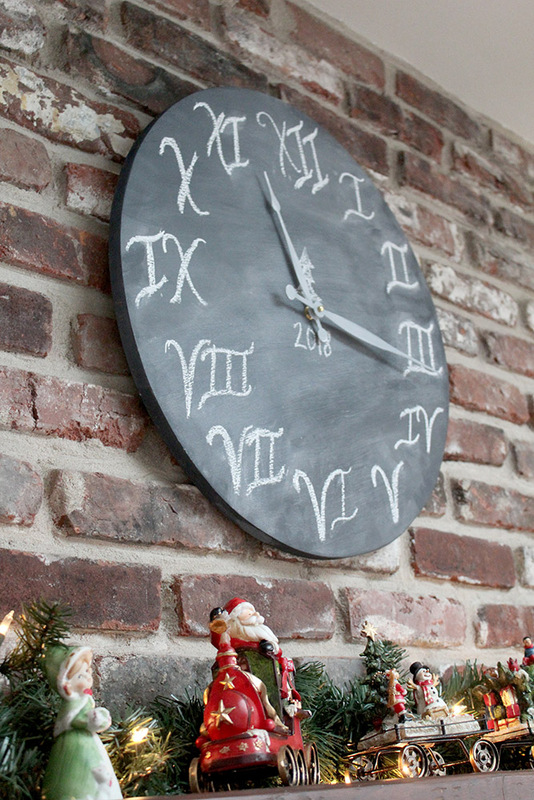 This DIY wall clock turned out so nice with a chalkboard-style background. With some scrap boards and a clock kit, you can definitely make your own gift for the home. Isn’t this DIY scented candle adorable? 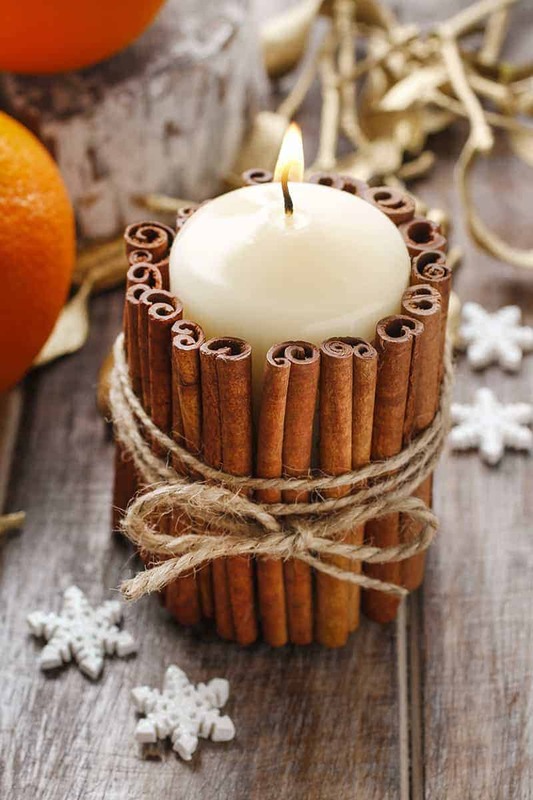 With cinnamon sticks and an unscented candle, it’s a simple but beautiful DIY gift. These DIY coasters were stenciled onto stone tiles – making them so unique and beautiful! 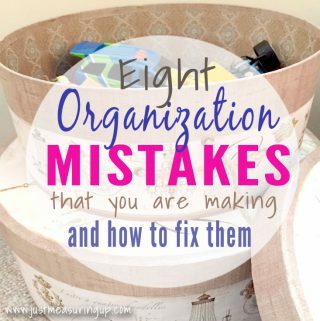 It’s an easy DIY and you can totally personalize it. This yarn bowl is such a unique gift! It was from a regular bowl and it has design cut into it – to easily pull your yarn while knitting or crocheting! Genius, right?! Definitely the perfect gift for knitters. 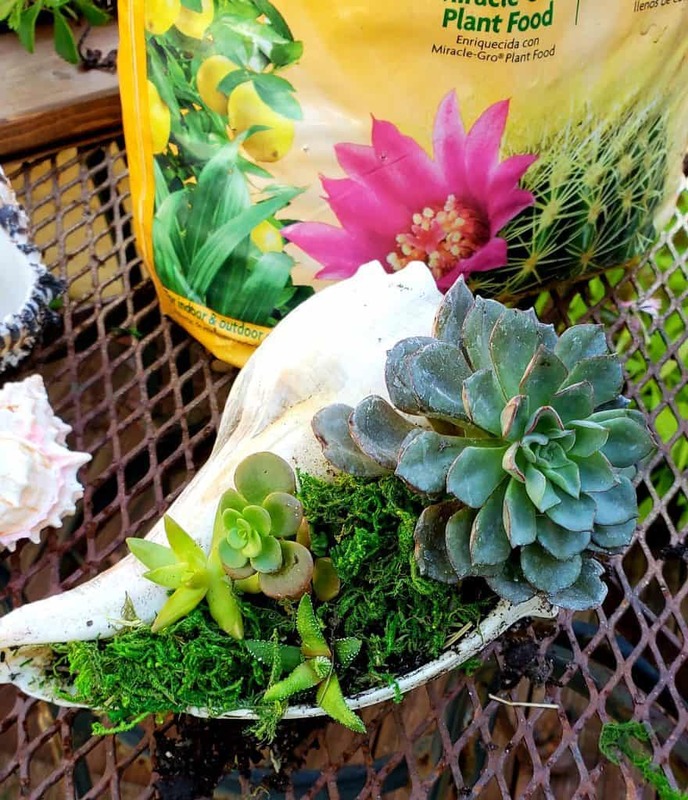 These DIY seashell succulents are adorable! Succulents are so popular right now that I can’t imagine anyone not enjoying this cute gift idea. Perfect gift idea for beach lovers! I am loving these hand-sewn felt ornaments! They are so pretty and festive. How cute are these DIY magnets made from broaches?! This is the perfect gift to make with those family broaches that have been in the jewelry box and it’s a great way to enjoy family heirlooms. These DIY Christmas hand towels are so cute! They could be perfectly paired with something else kitchen-related to make for the perfect Christmas gift. I am loving these DIY earrings that are made with scrap book paper! How creative! 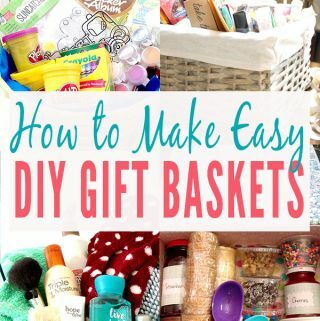 And, what a great way to customize your gift. This homemade DIY blanket scarf was made for less than $5. With the cost of store-bought scarves constantly on the increase, this is a great DIY to save money. Plus, you get to pick your own pattern. These DIY wood slice ornaments are so adorable and they were made from a branch – how awesome! This is the perfect gift for family members or teachers – they can even be used as a gift tag or a fun kids craft. 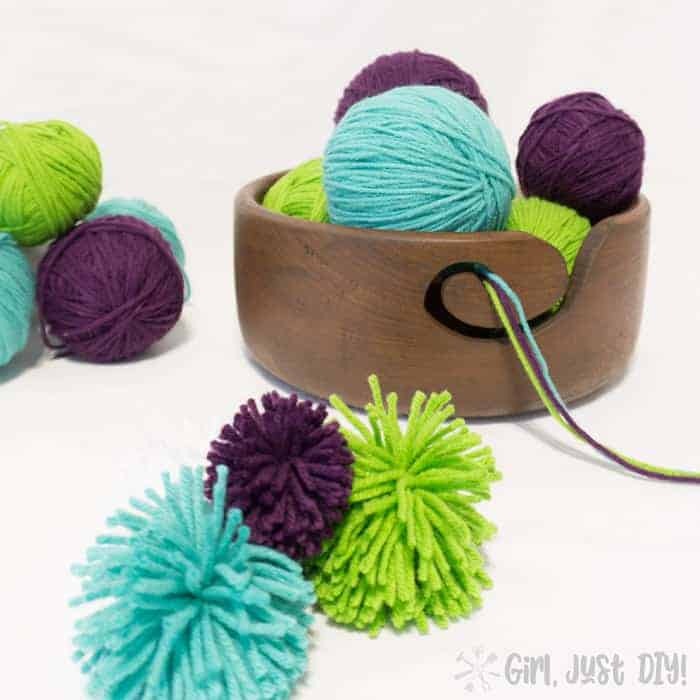 I have my kids make homemade ornaments every year – these wood rounds are perfect for that. 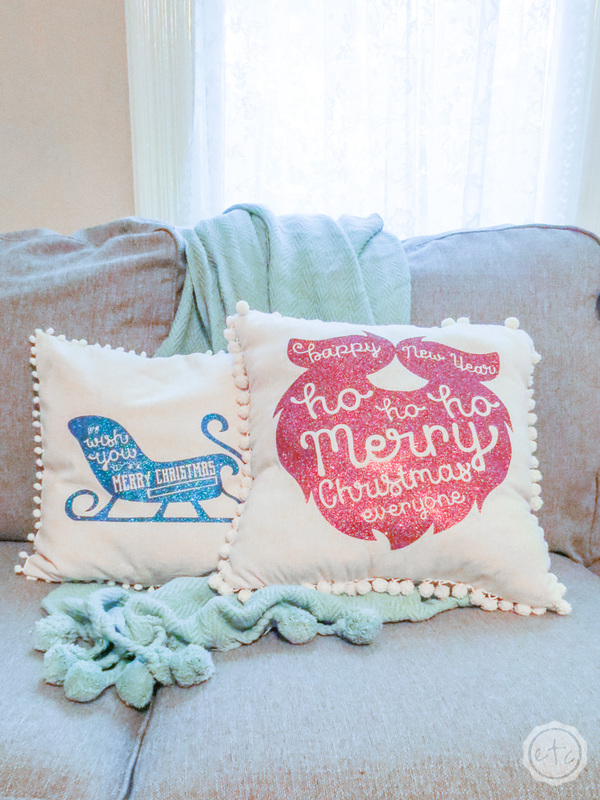 I am loving these DIY Christmas pillows with pom-poms. 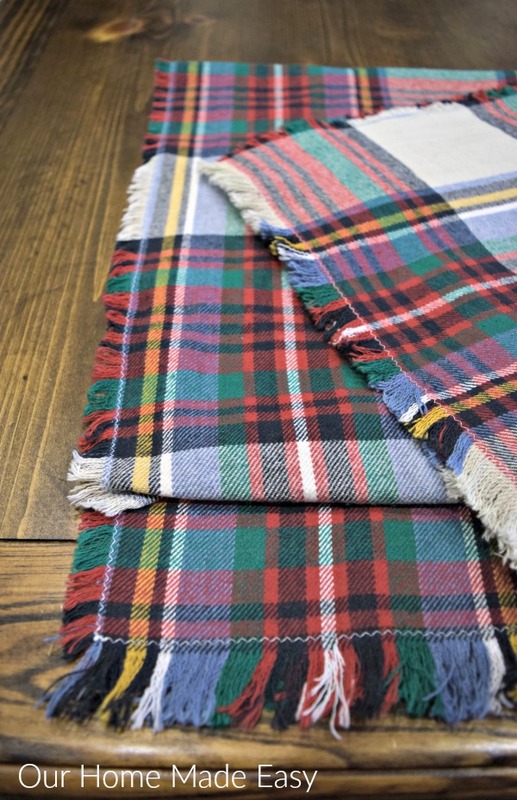 They were made for just $3.50 each – now there’s a thrifty gift with a price tag I love. 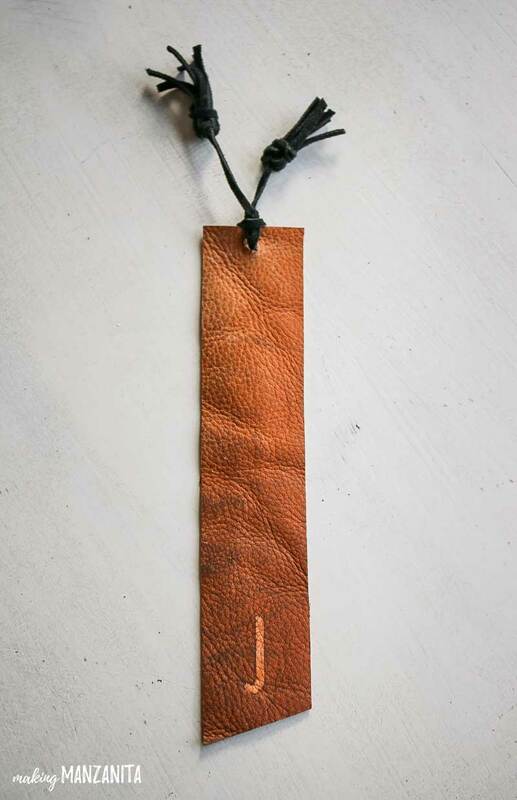 These DIY leather bookmarks are super cute – and so easy to make and customize. Definitely a fun and thrifty gift. You could even attach them to a wrapped gift as a gift tag. These DIY canvas decals are super easy to make with canvas and wall stickers. You can customize them however you’d like! Washi tape and letters make for a nice touch too! I’m loving this laptop table for the couch! This would make for an awesome gift idea for someone who works from home. Hint, hint, hubby! I am loving this adorable DIY quotation plate. It’s another DIY that looks store-bought but was handmade with love. You can put any kind of quote on here – from a favorite movie line to an inspirational message. I love the idea of this DIY lego mat – all the lego stays on the mat, and then it turns into a bag! Genius! If you’re looking for gifts for game lovers or gifts for those who love the outdoors, this life-size jenga game definitely fits the bill. I’ve never played a game like this but it looks like a ton of fun! This adorable candle holder attaches to the wall and gives any room a rustic feel. It’s perfect for candles but it can also be used to hold anything – pens, succulents, etc. 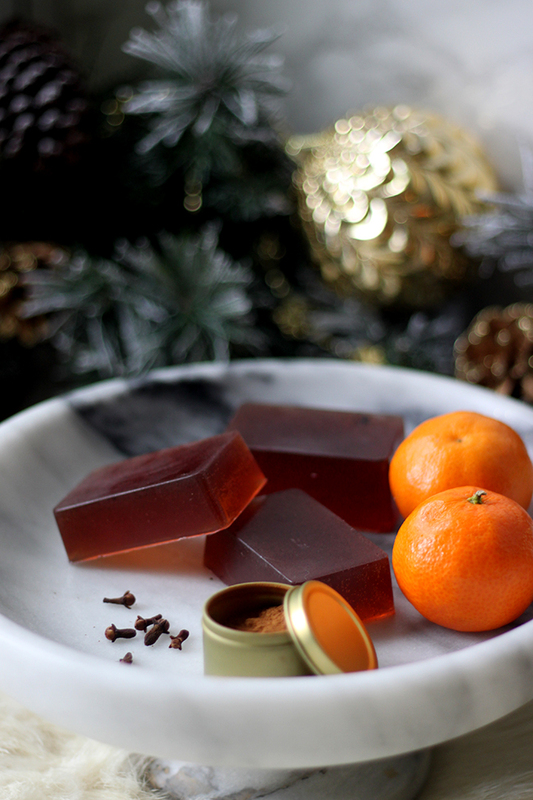 These DIY Christmas soaps look so easy to make and are fun pamper-yourself gift. Did you know that you can make a lamp out of anything?! 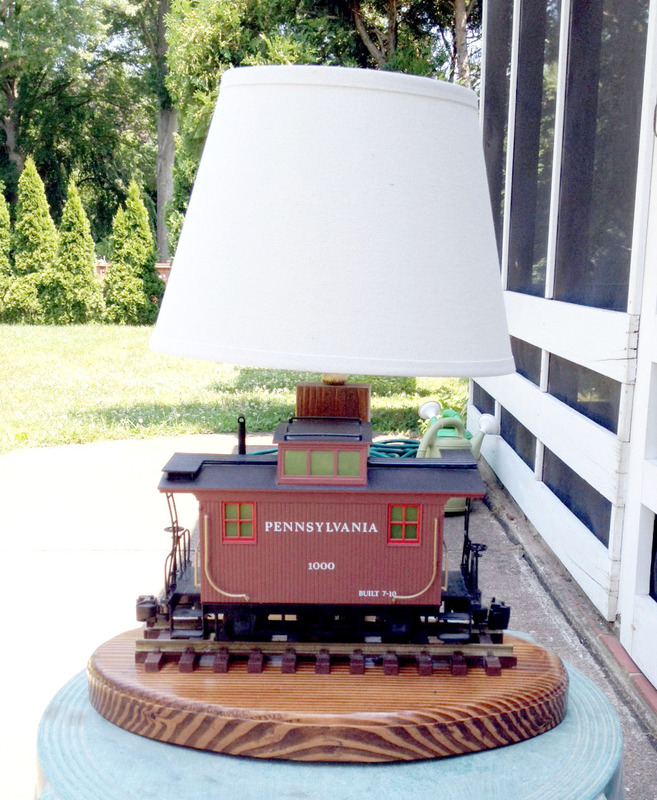 That’s right – this DIY lamp is made with a wooden base and the train lights up! This adorable DIY is a entirely FELT gingerbread house! I love this idea so much, as we try to stay away from centering holidays around junk food. This is a great way to decorate a gingerbread house without all of gooey gunk. These DIY photo canvases are thrifty and easy to make! Photos are one of the best gifts to give grandparents and aunts and uncles so why not save some money while doing so?! This DIY Christmas scent in a jar is the perfect gift for neighbors. You pour the contents of the jar into a pot – and voila! Then you have the scent of a Christmas tree farm in your home. You know that I love a scrap wood project. These wooden coasters were made from scrapwood and painted, making them so fun and easy! 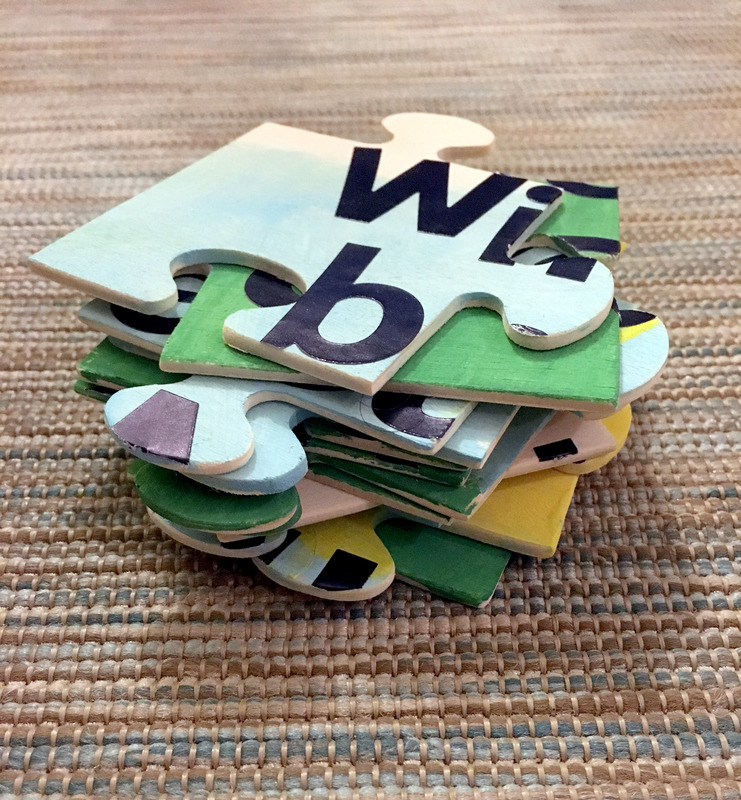 Another fun customized gift is a DIY puzzle! 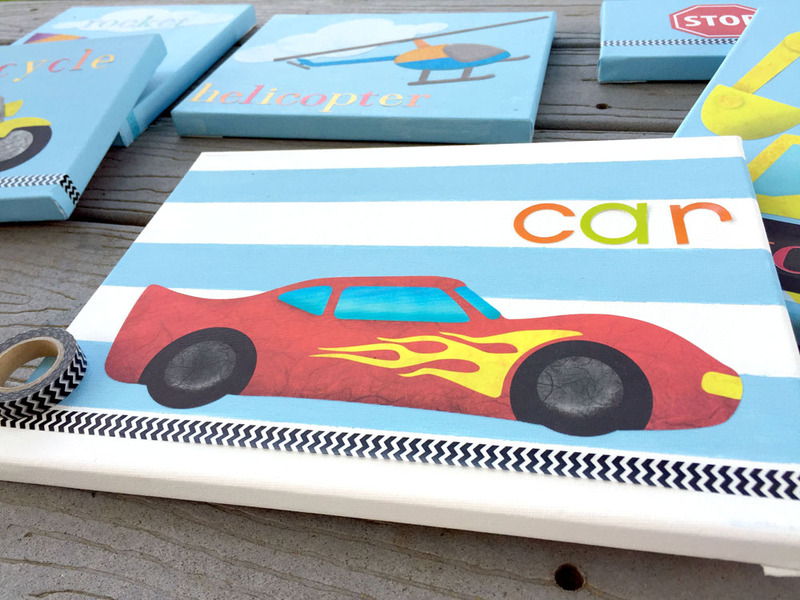 You can paint it, put a picture on it, have kids decorate – so many options for a fun gift. 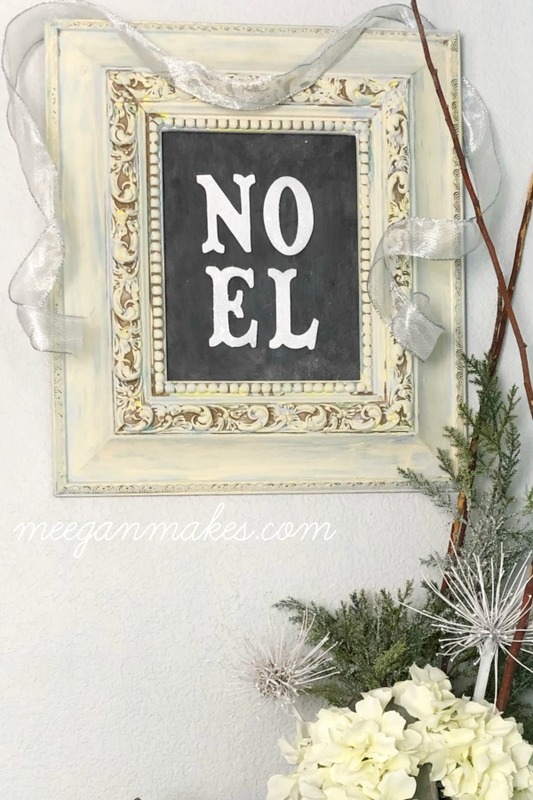 You can easily make this DIY chalkboard sign as one of your DIY gift ideas. You can leave it as a chalkboard or customize to say something meaningful. 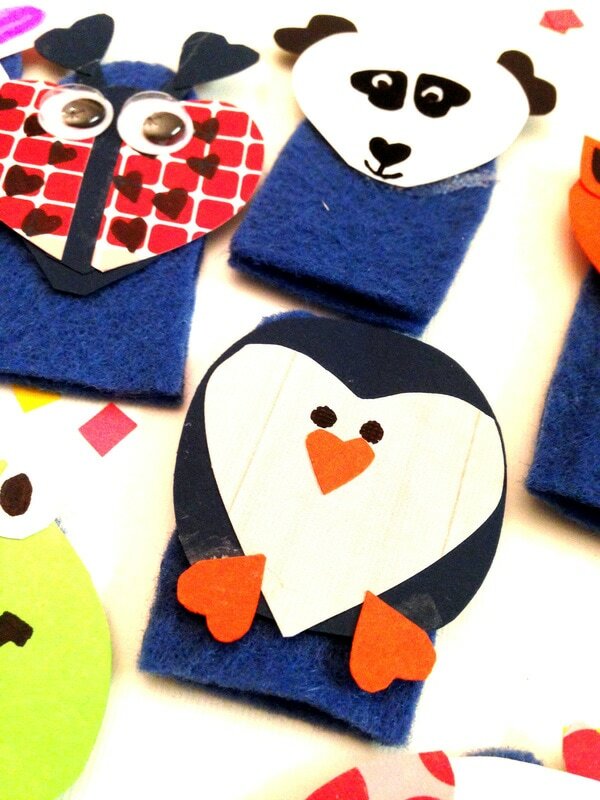 These DIY no-sew finger puppets are another fun felt craft. 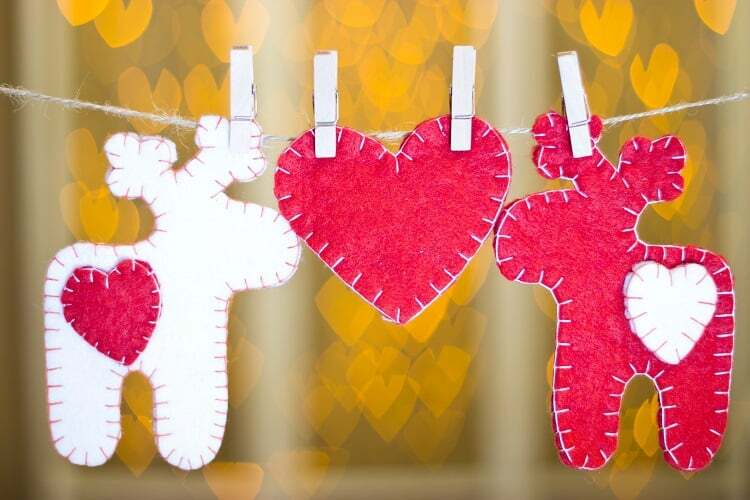 These are great homemade gifts for kids – and your own kids could even help to make them. These would be perfect with a DIY puppet theater too! If you have a bunch of bar coasters lying around, why not make these reusable craft beer coasters?! It’s a great gift for beer lovers. 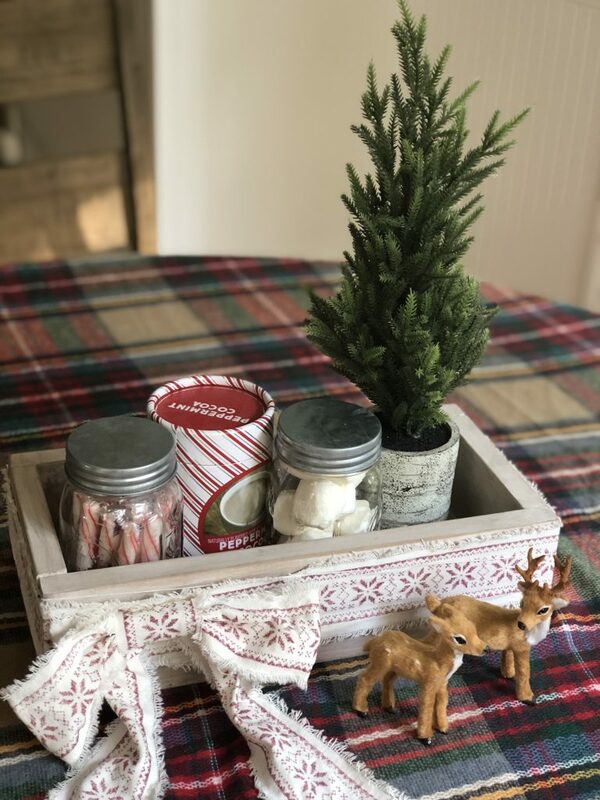 This cute DIY farmhouse box is a great gift idea. 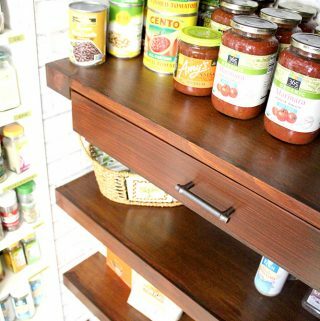 You could fill it with coffees or teas – and your recipient could reuse it in their home decor. These DIY upcycled handwarmers are a fun and functional gift! Thank you for including my DIY scarf! You found so many great ideas!